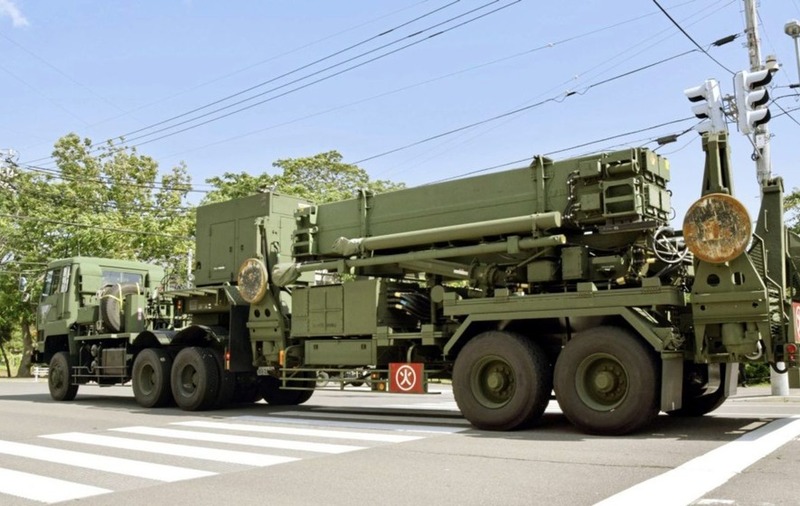 Patriot Advanced Capability-3 interceptor missile system (PAC3) is transported to the Hakodate base of Japan's Self-Defense Forces on Tuesday. Picture by Kyodo News via Associated Press. Patriot Advanced Capability-3 interceptor missile system (PAC3) is deployed at the Hakodate base of Japan's Self-Defense Forces on Tuesday. 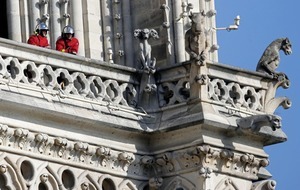 Picture by Kyodo News via Associated Press. Japan has moved a mobile missile-defence system on the northern island of Hokkaido to a base near recent North Korean missile flyover routes. 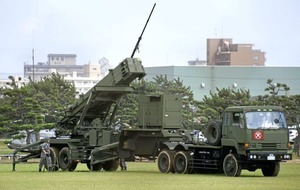 Defence minister Itsunori Onodera said a Patriot Advanced Capability-3 interceptor unit was deployed at the Hakodate base on southern Hokkaido "as a precaution" as part of government preparations for a possible emergency. Tuesday's relocation came after a North Korean missile was test-fired last week and flew over southern Hokkaido and landed in the Pacific off the island's east coast, the second flyover in less than a month. The PAC-3 was brought from another base in Yakumo town on Hokkaido, about 50 miles north east of Hakodate. The system has a range of about 12 miles. 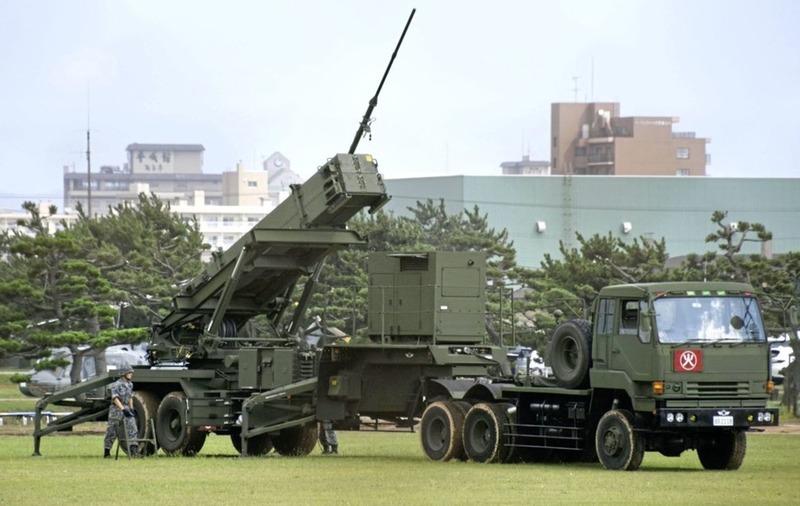 Four more of Japan's 34 PAC-3 units, largely used to defend the capital region, were relocated to southwestern Japan recently after North Korea warned of sending missiles toward the US territory of Guam. Japan has a two-step missile defence system. First, Standard Missile-3 interceptors on Aegis destroyers in the Sea of Japan would attempt to shoot down missiles mid-flight. If that fails, surface-to-air PAC-3s would try to intercept them. 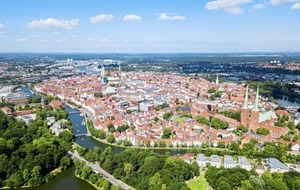 Japan's Constitution, which limits the use of force to self-defence, only allows the military to shoot down missiles that are heading to Japan, or debris falling onto Japanese territory. Mr Onodera has said a new security law passed in 2015 might allow it to shoot down a Guam-bound missile if it poses a critical security threat to Japan and its top ally, the United States.